The Bulb Committee evolved in 2013 from the Daffodil & Tulip Committee and its wider remit now covers bulbs and other subterranean storage organs, including corms, tubers and rhizomes. Its members also contribute to the production of the Daffodil, Snowdrop & Tulip Yearbook and help to organise and judge relevant plants at regional horticultural shows and competitions. The committee has strong links internationally, particularly in Holland, and the Chair of the RHS Lily Group also sits on this committee. The RHS is the International Cultivar Registration Authority for daffodils and lilies. Fruit, Vegetable & Herb Committee members also assist with the scheduling and judging of fruit, vegetable & herb competitions and shows, and participate in cultivar identification at various locations around the country. Its membership includes the Chairs of the RHS Fruit Group. 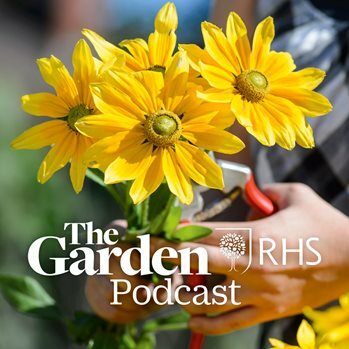 Watch a video of Lady Bacon, member of the Fruit, Vegetable & Herb Committee, as she talks through the many uses of the plants in her Raveningham Hall herb garden. The Herbaceous Plant Committee has a huge remit, covering hardy herbaceous perennials including chrysanthemums, carnations and pinks, delphiniums, grasses and so on. The committee holds an annual event at one of our Partner Gardens where they offer advice to visitors and bring plants for discussion. The RHS is the International Cultivar Registration Authority for delphiniums, dahlias and dianthus. The committee comprises an equal number of representatives from the RHS, Alpine Garden Society and the Scottish Rock Garden Club. As well as its own meetings, the committee attends AGS and SRGC shows and events all over the UK, judging and assessing a wide range of rock garden plants for RHS exhibition awards. The Orchid Committee holds meetings around the country, working with local orchid societies and assessing more than 200 plants for exhibition award every year. The committee has strong international links and its members represent the committee and the RHS at events all over the world. The RHS is also the International Cultivar Registration Authority for orchid hybrids. See the Orchid Committee on Twitter. The committee comprises experts in growing tender plants from around the world, which, in temperate climates, are normally grown under protection. Its annual programme of events includes talks and demonstrations at the Malvern Spring Festival and Malvern Autumn Show flower shows, as well as Gardening Scotland. The Woody Plant Committee is the source of expertise for hardy trees and shrubs, which includes old hybrid and species roses. The committee holds study days at many of the RHS London shows and the Chair of the RHS Rhododendron, Camellia & Magnolia Group is a member. The RHS is the International Cultivar Registration Authority for clematis, conifers and rhododendrons. As well as the plant committees, the RHS has a number of thriving plant groups, run outside of the RHS, but still with input from the Society.